Reservations require non-refundable 50% payment of total rental deposit. All rentals come with PFD’s, paddles, bilge pump and throw rope. Foam blocks, rope and straps are also provided to assist in transport. 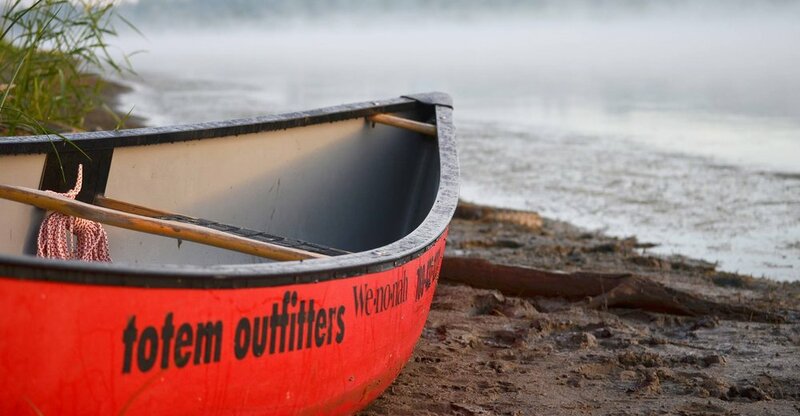 Optional spray skirts may be requested for certain kayaks. Dry Bags and Portage Carts may also be rented for addition cost. A cleaning fee will apply when rental equipment is returned dirty. Customers are responsible for any loss, damage and personal injury to themselves and rental equipment. Totem employees will assist in loading rental equipment but are not responsible for any damage or injury that may occur. Weekend rentals cannot be picked up on Saturdays unless prearranged. Long weekends are scheduled for pickup on Thursday 4:00pm -8:00pm and returned on the following Tuesday between 10:00am and 5:30pm.